Metal organic frameworks (MOFs) are novel porous materials formed by the link-up of transition metal ions through organic bridges. Fe-based metal organic frameworks (Fe-MOFs), an important branch of MOFs, not only have the characteristics of porous channels, exceptionally high specific surface area and multiple active sites like most MOFs, but are more environmentally friendly than other MOFs. Therefore, Fe-MOFs are more suitable for environmental restoration. This paper focuses on the application of Fe-MOFs in advanced oxidation processes (AOPs). 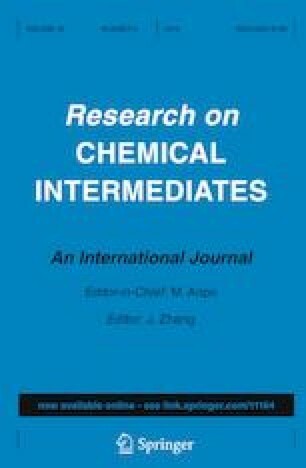 The heterogeneous catalysts used in conventional AOPs are generally less efficient due to the difficulty in balancing specific surface area and stability. Therefore, MOFs, a novel multifunctional material with exceptionally high surface area, multiple active sites, acid-base stability and thermal stability, are expected to be heterogeneous catalysts for next-generation AOPs. 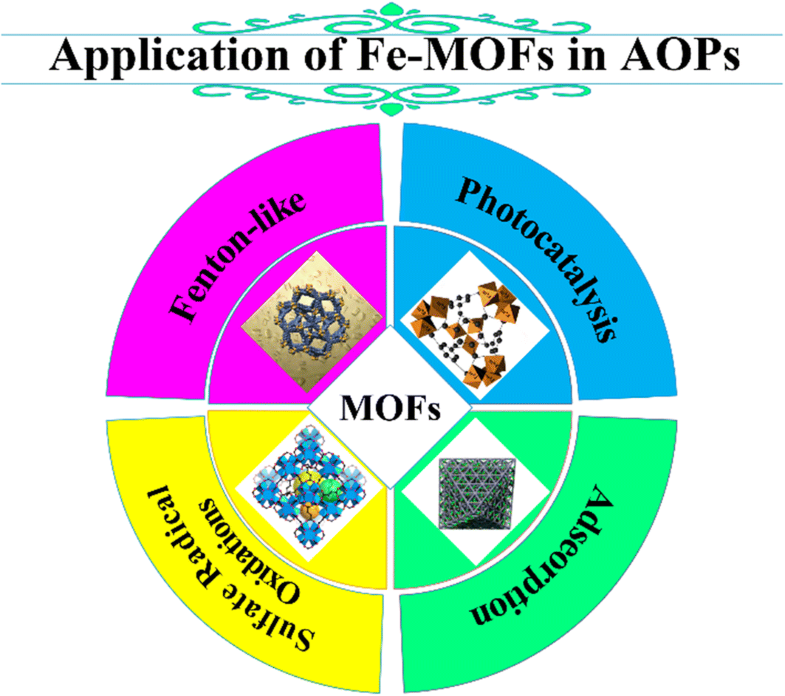 By surveying the application of MOFs in different AOPs (Fenton-like, photocatalysis and sulfate radical (SO4·−)-mediated oxidation), it was found that MOFs not only exhibited excellent catalytic performance in various AOPs, but also improved the pH range for AOPs. The non-specificity of MOFs and the wide adaptability to pH (3.0–6.5) have contributed to the tremendous development of heterogeneous catalysts, while the mechanism of MOFs synthesis, how to convert sulfate ions in natural water into sulfate radicals, and how to reduce the cost of synthesis remain to be further studied. AOPs with Fe-MOFs are similar to Santa Claus with reindeer, in that Fe-MOFs help AOPs do their job (i.e., treat water pollution) more efficiently. The study was financially supported by the National Natural Science Foundation of China (No. 41877489). PetroChina Innovation Foundation (No.2016D-5007-0604), Heilongjiang Province Natural Science Fund (No. B2015012), Applied Technology Research and Development Project of Heilongjiang Province (No. GC13C305).